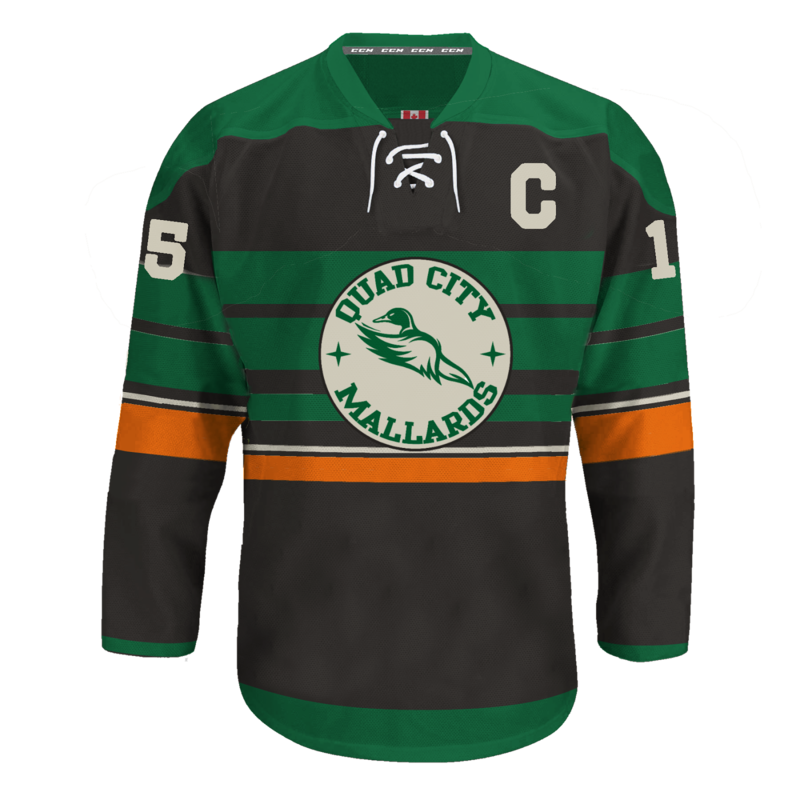 Saturday, January 31, 2015 the ECHL's Quad City Mallards played a game wearing jerseys inspired by the early years of the NHL's Original Six. At this point, you've probably read a lot about this because I have been writing a lot about it. If you're sick of hearing about this jersey then this piece isn't for you. Move along, move along. Likewise, if you're going to read this and ask what kind of fool flies 500 miles just to see some jersey in a minor league game? You can move along as well. This isn't for you. For the rest of us the story begins in September of 2014. 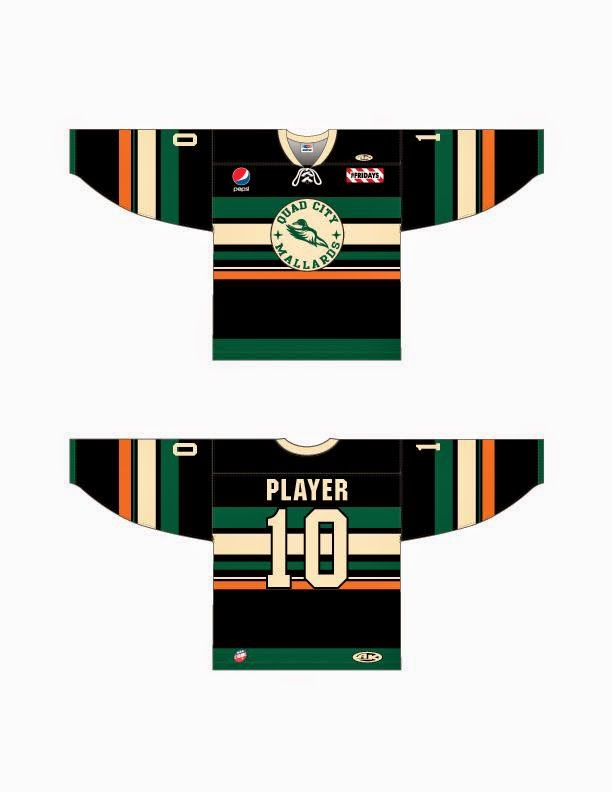 HJC was contacted by the Quad City Mallards to help them with a fan designed jersey competition. 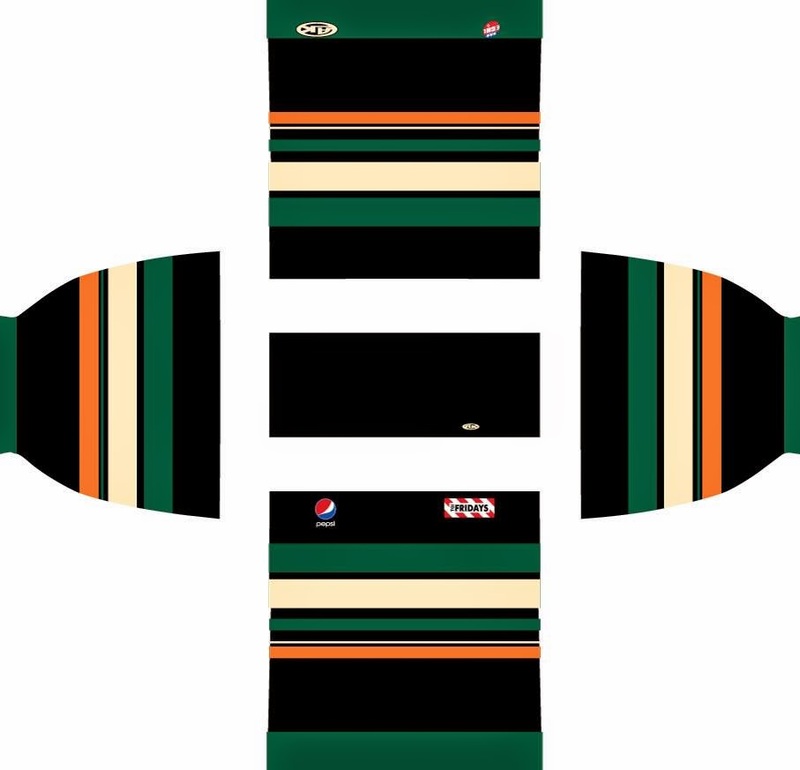 We were contacted because of the success of that summer's Grand Rapids Griffins Jersey Design Competition. 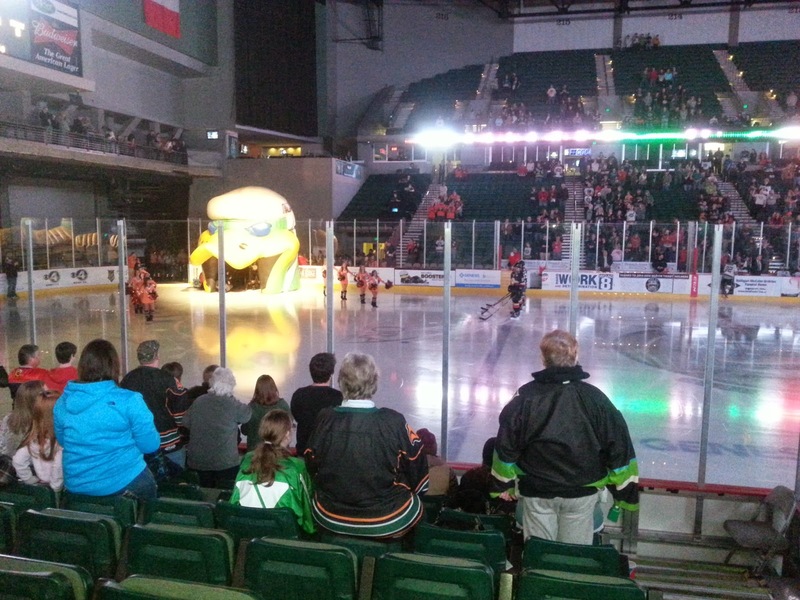 The Mallards' version of the competition ran on HJC for the entire month of October. Over 90 entries came in! One of those entries was from myself. 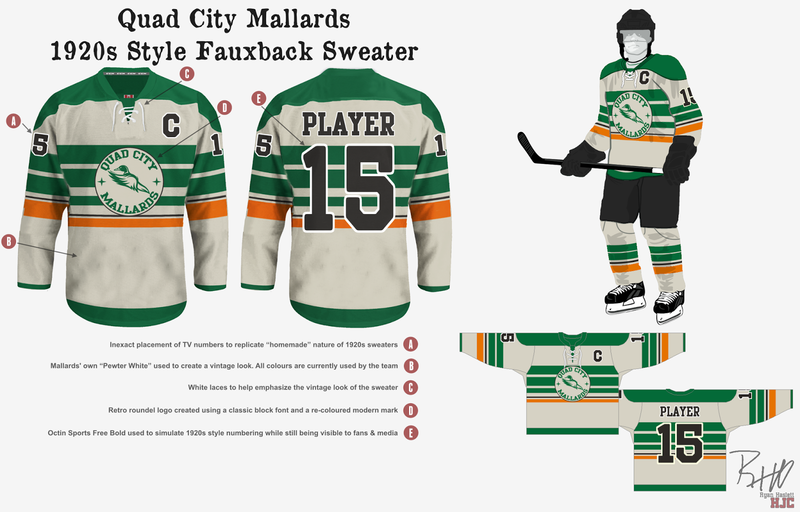 In November of 2014 I was contacted by the team saying that the president of the Mallards liked my entry a lot. 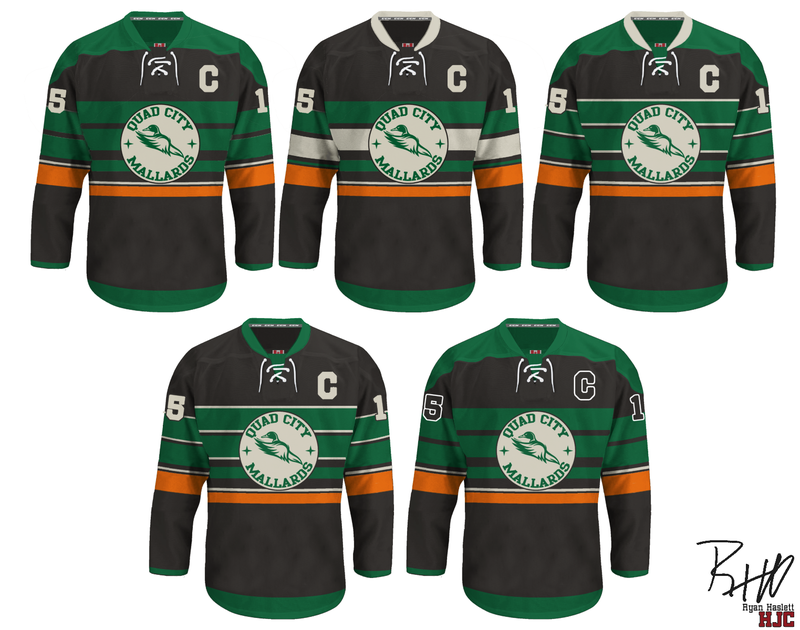 He liked it so much that they abandoned their own design for their "Original Six" night and wanted to use my design. They just needed one thing changed...the jersey had to be black. A direct transfer of the jersey I designed, to a black jersey didn't look very good in my opinion. I sent the team the above direct to black concept, but I also made some slight changes and proposed some other black concepts based on my original design. The team said thanks and for a few weeks I had no idea which version they were going to use. Then I was contacted by Jeff who heads the art department at Athletic Knit. He noticed that my name was attached to the files of the jersey that the Mallards sent AK. Jeff kept me in the loop through AK's design and production process. You can get a glimpse as to how things come together from the pictures below. By this point I had made up my mind that I was going to Moline, Illinois to see this game. I had to see this sweater on this ice. Yes, it was a little ridiculous to travel that far just to see a sweater. However, I had some money saved up and this is what I wanted to spend it on. I was also going to try and get one of these jerseys at the auction. 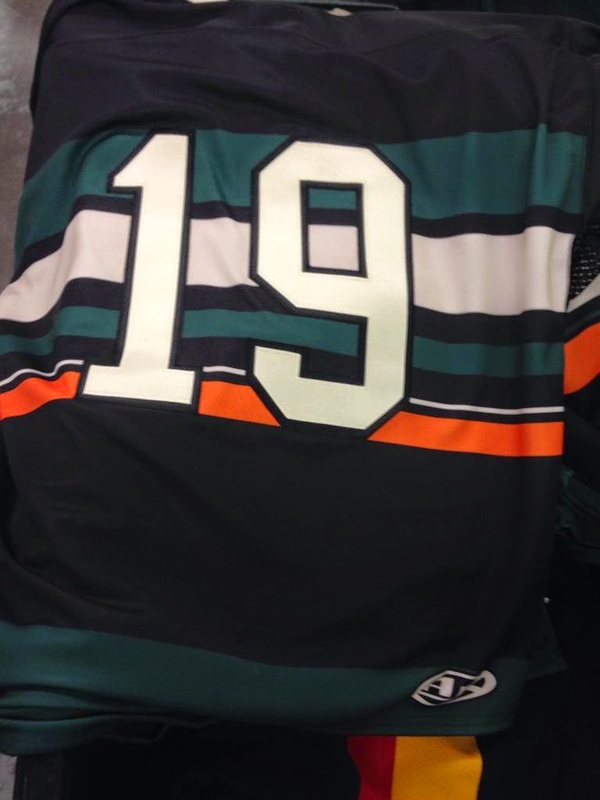 At the beginning of January the Mallards got back in contact with me and told me that they would like to thank me for helping out with their jerseys and as thanks they would be giving me a copy of the Original Six and the Fan Designed jerseys! I let them know of my intentions to go to the game and arrangements were made for them to present me my own jersey after the game, just before the auction. Ok, so the weekend didn't get off to a great start, but as soon as I got to the game all that stress went away. I met up with Tyler (part of the Mallards' offices), who I had been emailing back and forth with for the past 3 months. He invited me on a tour of the dressing room. 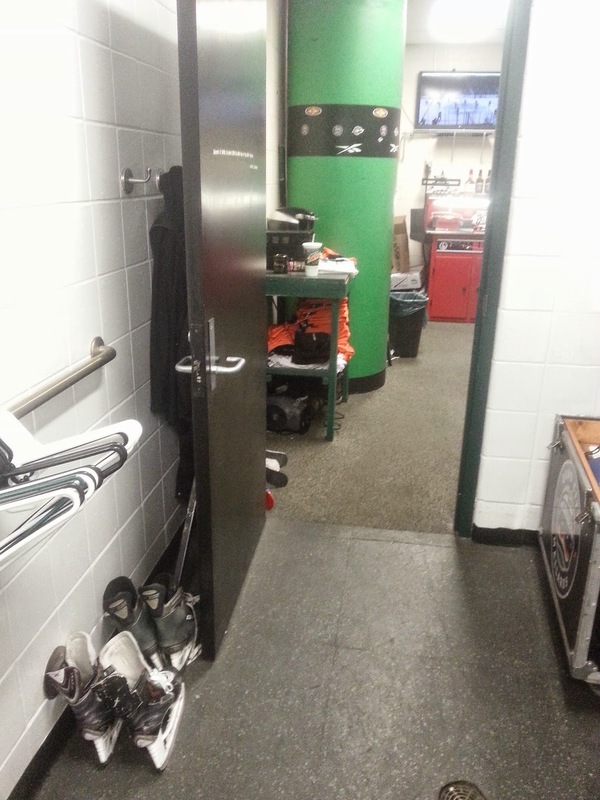 During the dressing room tour he showed us the equipment manager's room. This was the area I wanted to go roam around in. 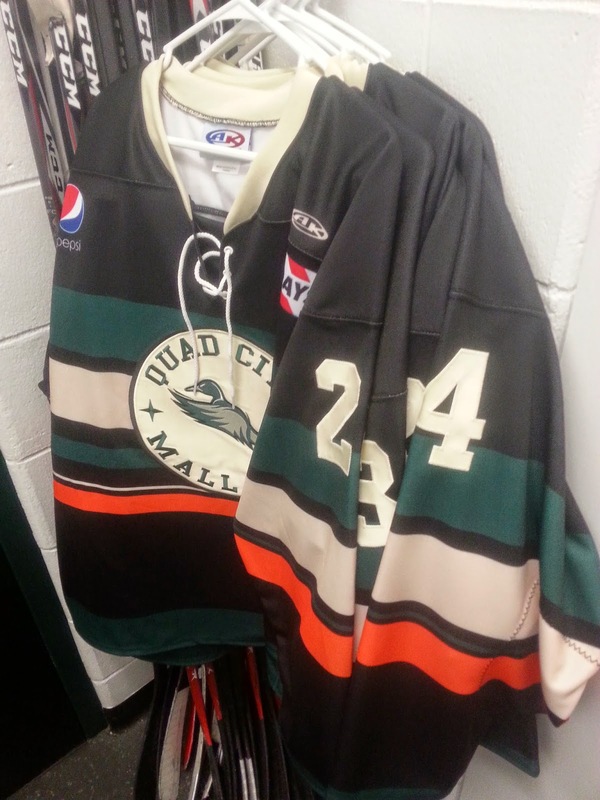 Note the pile of orange socks under the table for the Mallards' orange third jerseys. 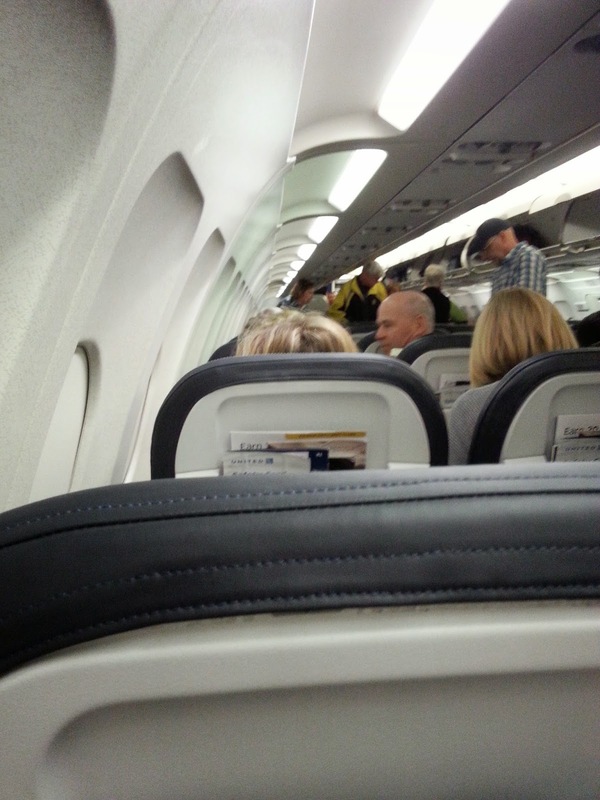 I turn around to leave, and half a dozen black jerseys catch my eye! There they were. This was the first time I had seen my concept "in the flesh" so to speak. I just stood and stared at them for a good 5 minutes until the tour had to leave. I examined the stripes, the laces, the stitching. Did they get the different stripe thicknesses correct? Did they leave the TV numbers over lapping the top arm stripe to replicate the inexact nature of early TV numbers? Did they use the exact crest I sent them? The answer to all was YES! There were some small changes that I accepted. 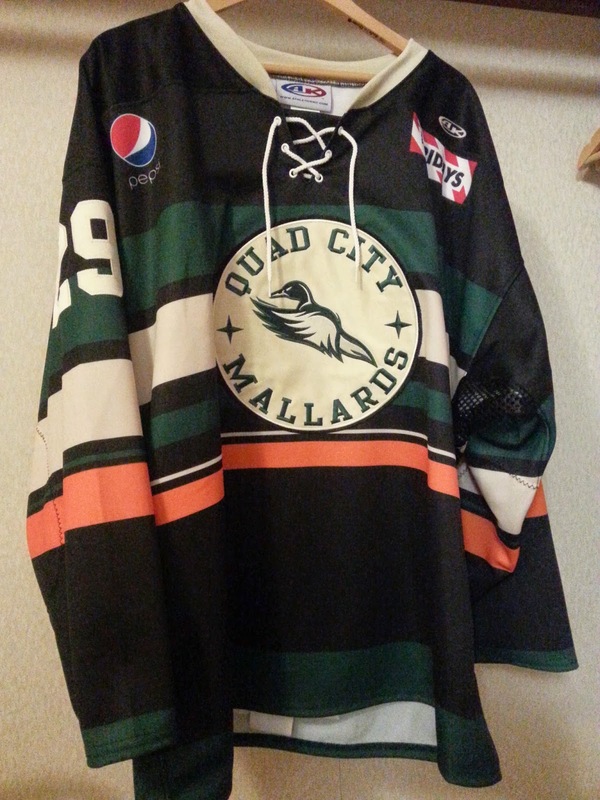 The pewter white that the Mallards use is a custom colour and would be too expensive for the Mallards if Athletic Knit had to try to create it. So it was replaced with vintage white. The collar laces are also true white because Athletic Knit doesn't stock vintage white laces. The NOB (name on back) was not in the serif font I had used. Instead a basic block font was used. AK did the number stitching while the Mallards did their own namebars. They're a minor league team and they need to keep their costs in line. 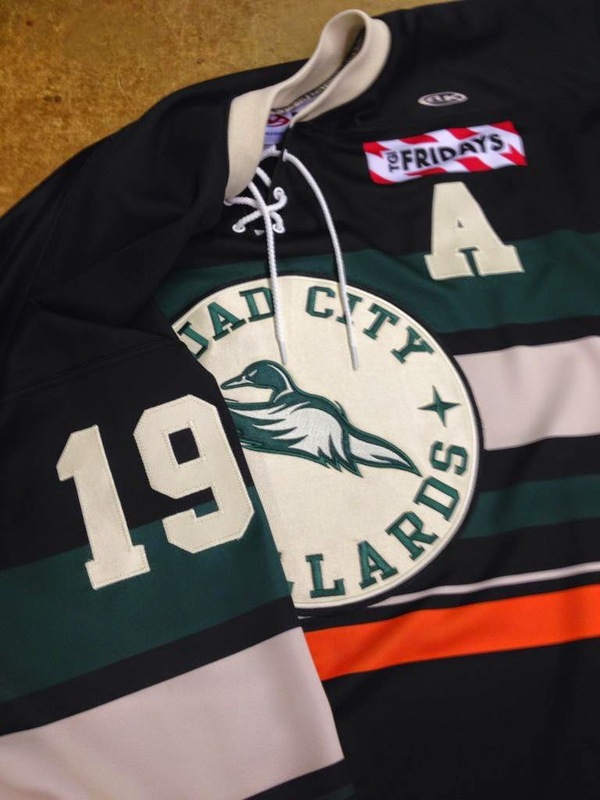 A result of the Mallards doing their own namebars was them running out of vintage white letters. The namebar on #7 Bennett Schneider's jersey was in true white letters, as was the namebar on my jersey. 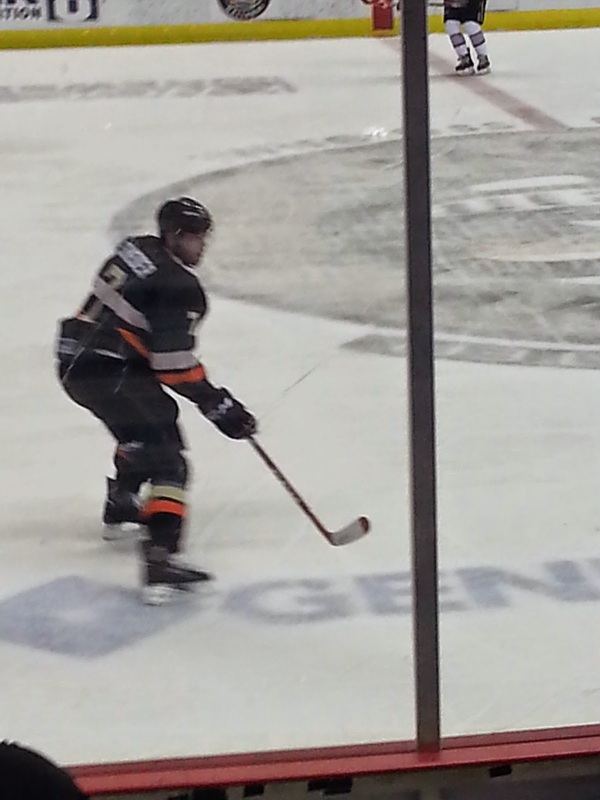 The tour took place during pre-game warmups so I had yet to see the players wearing the jerseys on the ice. I did get a few glimpses of them on the TVs though and they looked great. A jersey can look good in person, but that may not come through on TV. I find this aspect to be just as important as how the jersey looks in person. So do NHL teams, as prototype jerseys are put through screen tests. I took a picture of the white board in the room where the coach had written to the players to not take the laces out of the jerseys. 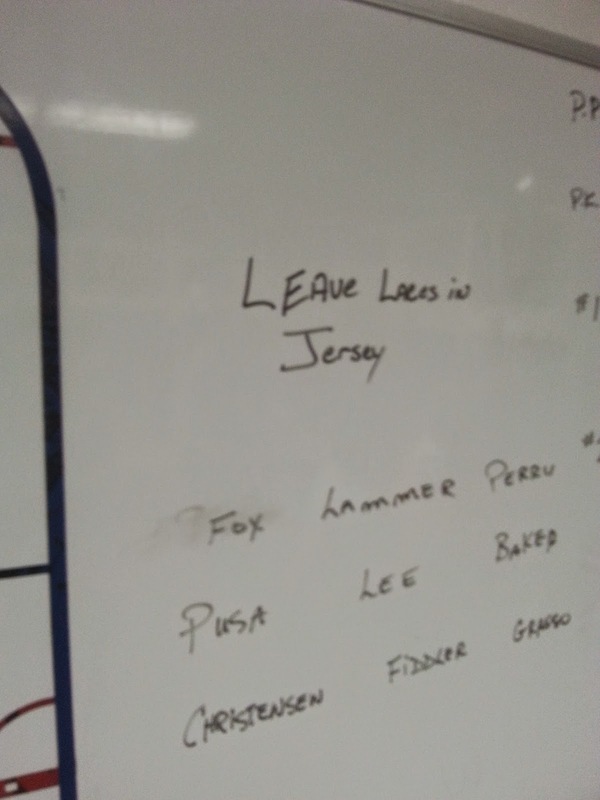 This probably had to do with an ECHL rule or because the jerseys were being auctioned off after. Either way, as the designer of the jersey I appreciated that. I went to my seat for introductions. Finally a chance to see the jerseys on the ice. The players skated out and the jerseys looked great. The Mallards looked like they belonged on the ice. What I mean by that is that it didn't look like they were wearing one night only specialty jerseys, even though that's exactly what they were wearing! By contrast, I felt that the Brampton Beast very much looked like they were a minor league team wearing a cheaper jersey, but trying to look professional. Brampton needs some work on their jerseys. If you're reading this Beast, we're right here. I thought that seeing the jersey on the ice for the first time would be the moment that took me back. Surprisingly it was not. It was the moment that the Mallards scored the first goal, scored by #19 Kevin Baker. I suddenly found myself cheering for a jersey. I was proud of the jersey, as if the jersey had caused the puck to go in the net. Somehow this goal legitimized the jersey. The Mallards went on to defeat the Brampton Beast 3-1. When you win the game and look good doing it, that's a great day at the office! The next measuring stick moment for the jersey was the auction after this game. Before the auction began, team president Bob McNamara invited me on to the stage to thank me (and HJC) for hosting the jersey design competition and for designing that night's jersey. Furthermore I was given a jersey with my own name on it! Considering the jerseys started at $300 each during the auction, this was quite a gesture. I was interested to see how many fans would stay for the auction. Game attendance was just over 3600, but everyone wasn't going to stay obviously. I would say there were about 100 people who did stay for the auction. 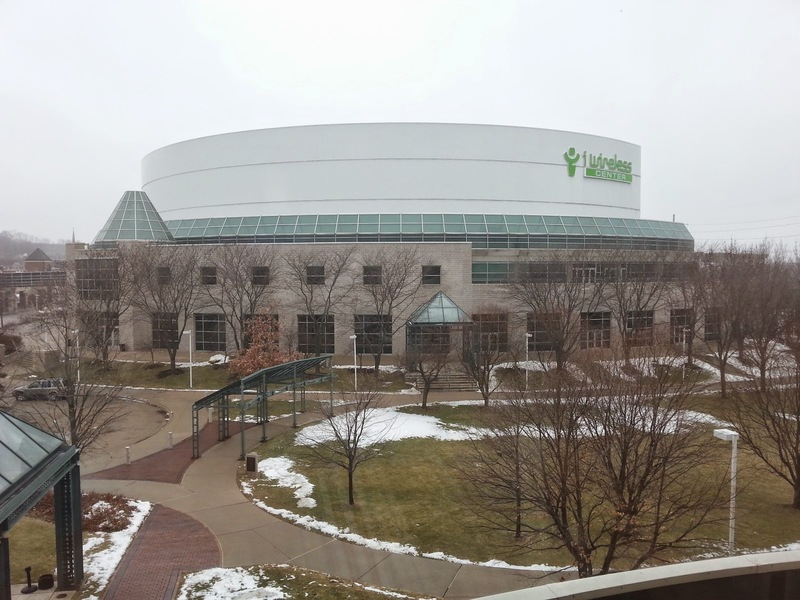 Not bad, considering there was a massive snow storm brewing outside. I stayed for 6 jerseys that were auctioned off. After being awake for 20 hours this was the most I could handle without falling asleep. The jersey that was auctioned off for the lowest price (while I was there) went for $500. Also while I was in attendance, the team goon's jersey auctioned off for $1500! 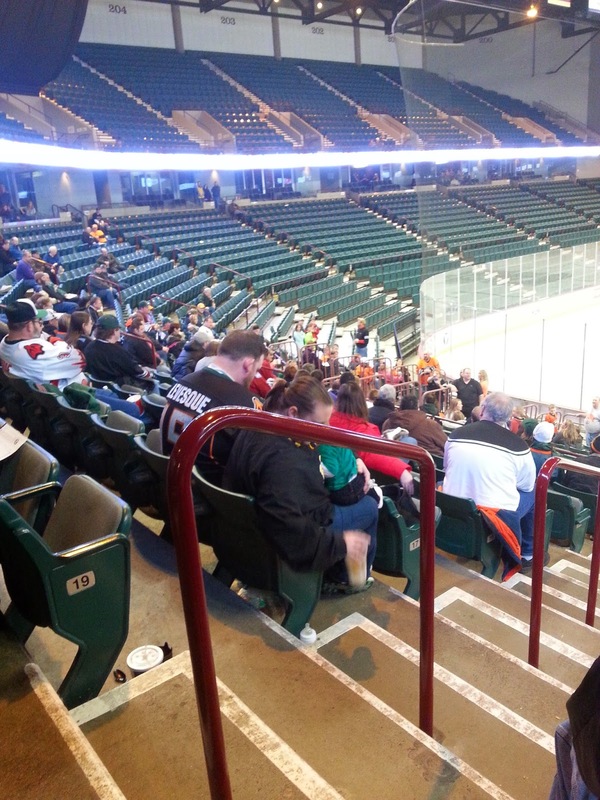 Whether these fans were bidding on the player or because they liked the jerseys, doesn't matter to me. If they were really bad jerseys I don't think anyone would have shown up for the auction and no one would have bought any. Even though flights got cancelled and I am supposed to be flying home today (it's Sunday and I'm writing this from my hotel in Moline) it still turned out to be an awesome weekend. Having something that you created come to life in a professional setting like that is indescribable. I had an idea and was able to translate that effectively to a digital medium. It then went through two channels (Mallards & Athletic Knit) without its integrity being compromised. 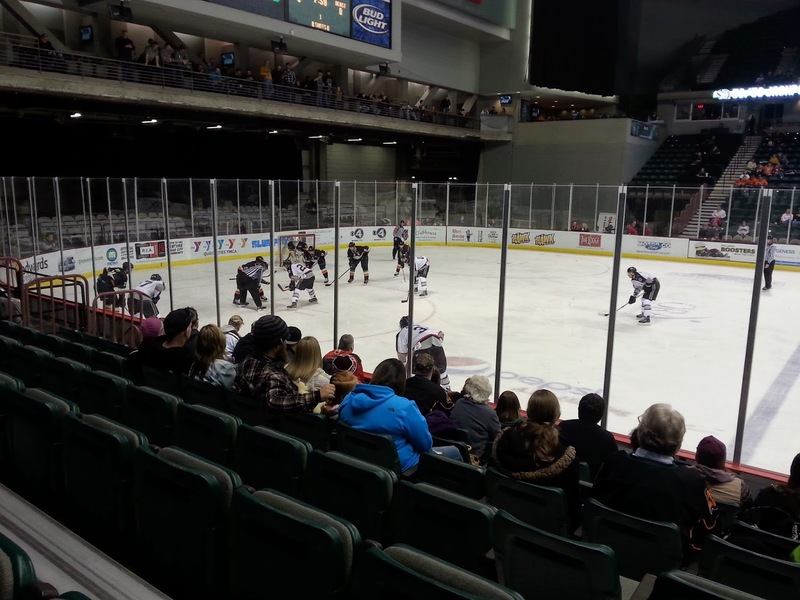 Finally, it comes to life on the ice in a semi-professional hockey game and fans want to pay money to own it. It's going to take a while to come down from this cloud. 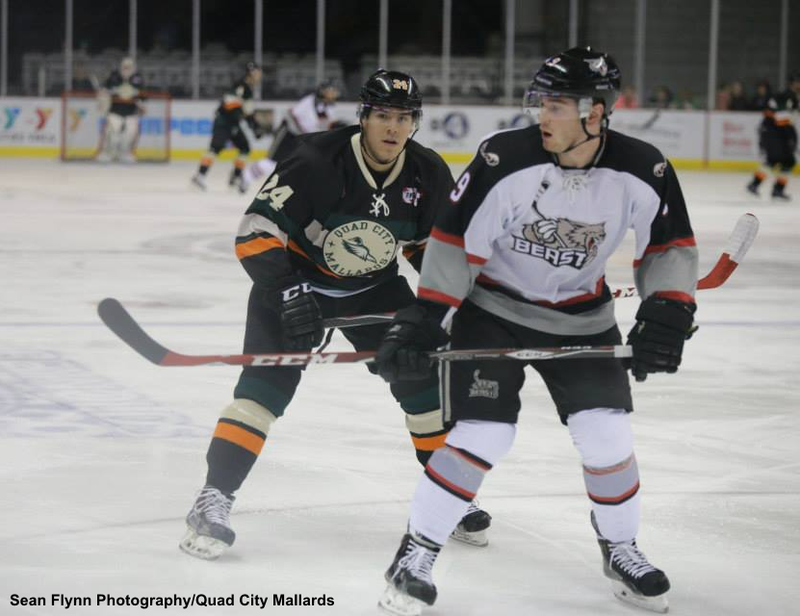 For the Mallards' Facebook photo album of the game click here. This is great! Congrats again Ryan! The team looked really good and it's nice to hear how well they were selling! 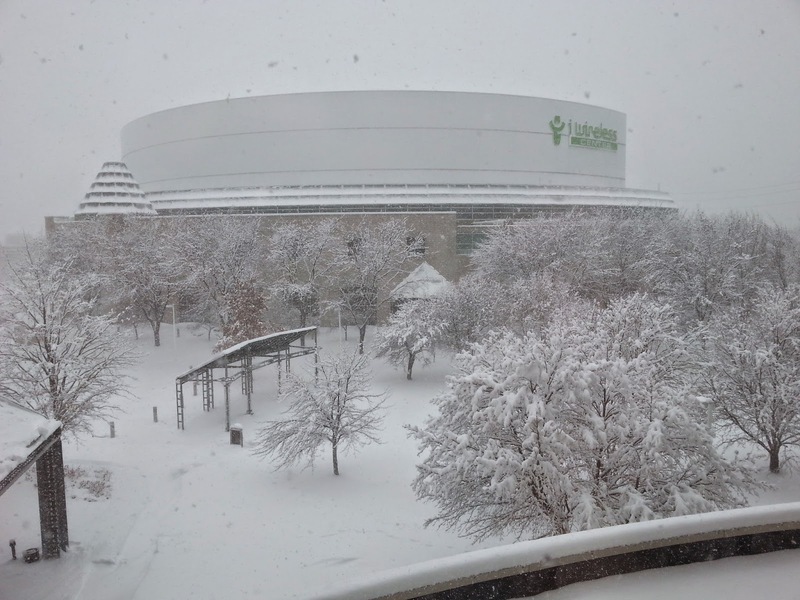 How about that snowstorm eh? We got it bad up here about 2 hours from Moline in Rockford. Thought about going down there for the game but that snowstorm driving wasn't going to happen. And I've been in that locker room! I had a game there my senior year of college and despite being the road team we got to use the Mallards' room! i know i'm late posting this, but congrats. too bad to hear that it was snowing up there though. makes me feel guilty, as it's been a balmy 65 degrees here in Colorado for over a month.